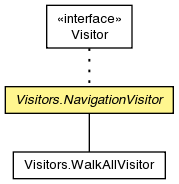 An abstract visitor implementation that performs navigation of the query object. Create a visitor that walks all query objects. strategy - the visitor that should be called at every node.